What was your Best GOLF BREAKTHROUGH? There are a lot of golf bloggers who keep digging up new ways to create the “perfect”. Any swing that gives you a long and relatively straight hit, is a great swing. It’s just a matter of finding the right swing for your body and flexibility. Now I want to hear from you. I want you to share your most important thought or motion or plan that you use to create consistent swings to get YOUR ball where YOU want it to go. His big breakthrough was learning to keep his leading arm straight during his swing by using GOLFSTR+. In less than 6 months of playing serious golf he is shooting back to back rounds of 86. You can tell that he is excited about this breakthrough by the details provided. Here is his story if you’d to read it in his own words. I reside in Vancouver, British Columbia, Canada. I was a professional athlete, Sponsored by Nike, in the game of 4 Wall Handball and competed at the world level. One sport that I never spent time to improve was golf. Now at 55, I just officially started playing golf with lessons as of March 2014. I am trying to give you some background context to the success of these next sound bites. In the past I would go golfing with my family and/or business golf events, not being a golfer, I always hit poorly and stroke count was well above 120 per round, the more infrequent I played the worst result I had. That happens with golf. This year I decided to take this game up seriously. I took some lessons from a teaching golf pro at Tsawwassen Springs Golf Course, “ Murray Poje”, he worked with me to develop an accurate swing before stepping back onto the course again. As progress goes, moving the time dial up a few months from March, totally immersed and determined to break into this game, my scores never broke 100, always around 110, mostly because of the inconsistency and not hitting the ball straight and then suffering the frustration of scrambling to recover on the next shots. This is the same course where Will Curry, the inventor of GOLFSTR, tested the first prototype of GOLFSTR and shot 2 over par after the first 11 holes. My first break through on my own was breaking 50 on the front nine of a Vancouver Golf Course on a Sunday afternoon in August. Still, loving the game, trying to piece so many parts of the game together (keep in mind, this is all in 2014). 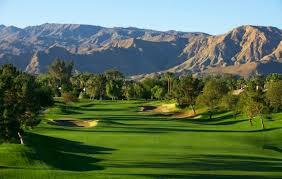 I was off to Palm Springs, Mission Hill which has three courses named: Pete Dye, Dinah Shore & Arnold Palmer. Now this is where the breakthrough happens, showing signs of great strokes and tempo when I am golfing, and where my main goal is just not to lose a ball while playing, I figured baby steps: I will worry about the score after a whole host of other things are mastered. Oh, did I mention, I had a great looking stroke, I mastered the perfect slice every time, even when getting a new club, the club fitter said there was a dial on the club that would correct the slice from the club face, that didn’t make sense to me to always be swinging incorrectly and getting a good result. This solution didn’t correct the mechanics of a proper swing. We landed in Palm Springs on a Sunday, early morning arrival, headed over to the golf club. My wife and I played a round on the Pete Dye Course as that was the only course open as the others were being reseeded . I shot 117. Next day Monday rolls around and I made my way over to the PGA Tour SuperStore on Hwy 111, this is where I was looking at the training aid section. There I found and bought a GOLFSTR. Are you ready, are you sitting down…..
My wife and I played the exact same course again, Pete Dye (same course where I shot 117). Score on Monday with GOLFSTR was 94, not only did I improve my strokes by 23 strokes, but it was the first time I broke 100, and first time I never lost a ball. Huge Milestone…. 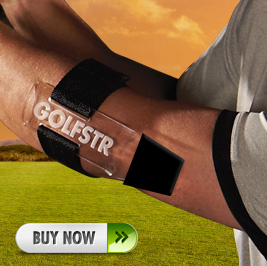 There are many people/players that are commenting when playing about the how straight I hit the ball and are amazed the length of time I have been playing, but the biggest benefits to my game is the GOLFSTR in keeping my elbow straight ever time so I can continue to hit the ball with great accuracy and length. Two things in concluding my story: Thank you, thank you, and if you wish to use/edit and validate my progress please do so. Secondly, everyone wants one of these because they ask me how I can consistently hit the ball so straight, so getting a place out in BC that sells them might be good for sales. My wife wants to buy a bulk order to sell to all her friends after she saw what it did for me.